How do you manage pieces of random information? Do you need safe, encrypted keeper for your sensible private information, such as passwords and access codes? Or, may be, you need a perfect journal or diary solution? 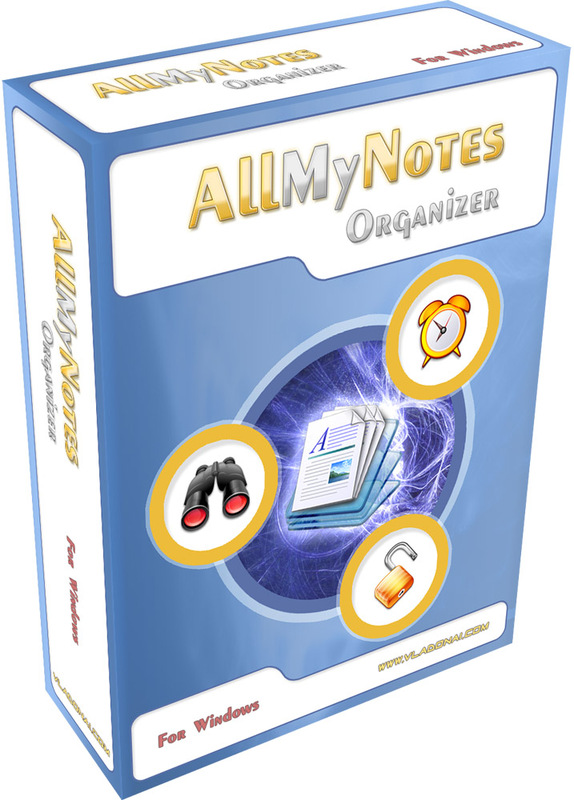 AllMyNotes Organizer is an answer for these any many other needs! Keep all your Notes secure and easy to reach. AllMyNotes Organizer – keep all your Notes secure and easy to reach. All Notes stored in a single, encrypted file, and can be grouped into flexible tree structure. Documents are organized in a hierarchical tree representation for quick browsing by topic. The easiest way to keep all your Notes organized on your PC. Capturing notes, ideas, and diaries has never been so enjoyable before! Ideal for capturing notes, diaries, thoughts, ideas, letters, links, contacts, addresses, quotes, goals, passwords, access codes, and simply unlimited number of other things. A portable version which can be installed on a USB thumb drive, iPod, or removable hard drive which can used on any PC without the need to be installed is also available. 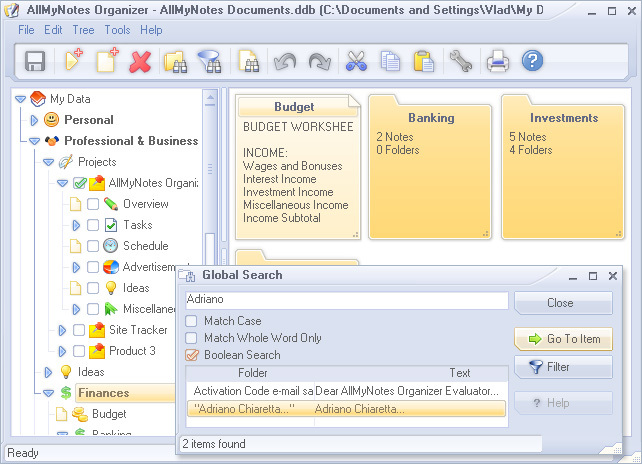 CyberVally Exclusive Offer of AllMyNotes Organizer version 1.37 ($34 value). Get lifetime license it’s enough to fill simple form before expiration date ( 17 Jan, Monday 2011 ) – no limits on number of licenses, everyone is eligible. All details of this promo is on the page here. The easiest way to keep all your Notes organized on your PC. Capturing notes and diaries has never been so enjoyable before. Our goal : no useless features and an easy to use gorgeous interface. Focus on writing your notes instead of searching help files. Your personal diary is safe from prying eyes – just set a password for your notes, and AllMyNotes Organizer will encrypt it using 1800-bit cipher. Instant search. Highly performant database-driven storage file format. Export to RTF and plain text. Multilingual, Skined interface. Windows 2000 and all higher versions – 2000/XP/Vista/7, including all server versions of Windows.